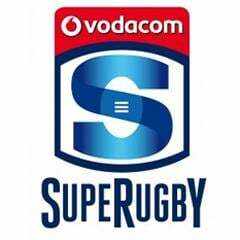 Cape Town - The Sharks secured a valuable bonus point win against the Cheetahs in Super Rugby action in Bloemfontein. The Sharks took Super Rugby revenge for their loss against the Cheetahs in week one by beating the hosts 27-10 at the Free State stadium on Saturday evening. The Durban side dominated the first half and enjoyed a half-time lead of 22-3 after the Cheetahs failed to come to the party in the first 40 minutes. 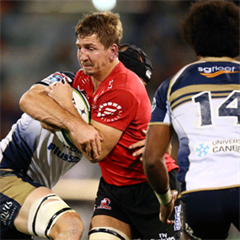 The hosts got on the scoreboard first thanks to a penalty by flyhalf Willie du Plessis, who came in as a late replacement for the injured Joe Pietersen. But it was to be the last time the Cheetahs would trouble the scorers in the first half. The Sharks came alight, with Springbok flanker Marcell Coetzee crossing the whitewash twice. Springbok center Francois Steyn opened the scoring in the ninth minute with a good try, which flyhalf Pat Lambie converted. That left Coetzee to score, dotting down in the 29th and 32nd minute, with Lambie converting one of those after adding a penalty earlier. The Sharks took the foot off the pedal in the second half, but the Cheetahs also defended much better than in the first. The Sharks still managed to score a bonus-point try in the last 10 minutes via replacement Jack Wilson. Lambie could not convert, but the Sharks still left Bloemfontein with the bonus point in the bag. A late try by center Francois Venter in the dying seconds for the Cheetahs was not enough as the Sharks walked away with maximum points.